We are team of architects, designers, former NASA-specialists, scientists and dreamers who are looking into answering one question: is a crewed mission to Jovian moon Europa possible? At this stage we are not trying to get funded doing this, not trying to rule out the potential for robotic missions – but simply performing research and concepts for this idea. The ideas behind Objective Europa is sending human beings to Jupiter’s icy moon, Europa, on a one way mission expanding the borders of exploration and knowledge for all mankind – while continuing the search of extraterrestrial life. The starting point of Objective Europa is purely theoretical (Phase I) but will move into more advanced phases including prototyping, technology try-outs, and eventually a crewed launch – if we conclude that such a mission is possible. 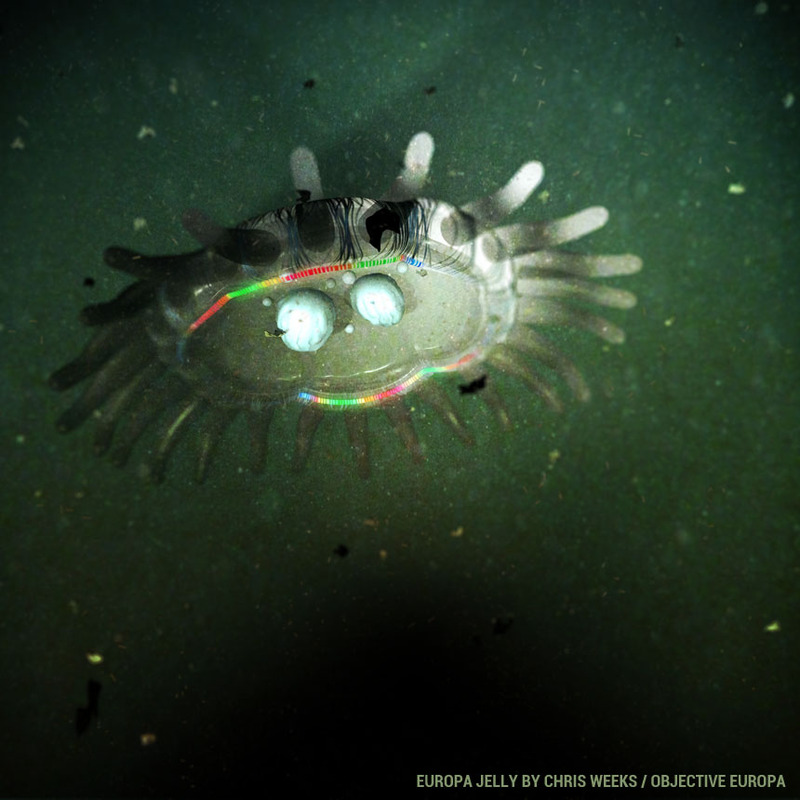 Objective Europa is a crowd-researched project made up of an international team of volunteers. Many people from a wide range of backgrounds have already joined and become a vital part of the mission. We encourage you to join us and help in any area you are interested in. You do not have to be a rocket scientist or astrobiologist; site maintenance, social media control, conference arrangement, lobbying (and much more) are equally important tasks. The destination for this crewed mission is Jupiter’s sixth closest moon, Europa. Its deep ocean and active geology provide a solid platform for extraterrestrial life, making Europa one of the most enticing locations to explore in the solar system. The 600 day flight required to reach Europa is manageable with today’s technology, and the many challenges of such a mission pose a perfect starting point for new research and innovative thinking. If you find ice and water more appealing than Martian deserts, we invite you to join our project and help us take the first steps towards exploring Europa.